Nominate yourself for TFAC Co-Chair! 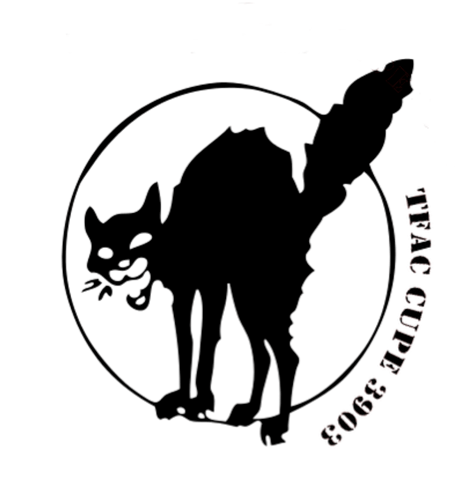 The TFAC logo, a graphic image of a black cat. The nomination period for the executive position of Trans Feminist Action Caucus (TFAC) co-chair is currently open due to the resignation of one the TFAC co-chairs, Donya Ziaee. The nomination period will remain open until 5pm October 7, 2016. TFAC members of any unit are eligible for this position. All women, trans, gender queer and gender variant members of the local are automatically members of the TFAC whether or not you have ever attended a meeting. Please see below for a full description of the position’s responsibilities. We welcome and strongly encourage involvement of persons with one or more disabilities, lesbian, bisexual, two-spirited, queer and trans persons, persons from racialized groups, and Aboriginal persons. To nominate yourself, or to ask questions about the position, please email the election officer, Megan Hillman, at mhillman@yorku.ca. Nominees are welcome to submit a 300 word statement regarding their interest in the position. These statements will be accepted until 5pm, October 7, 2016. Nominee statements will be posted on the CUPE 3903 website once the campaign period begins (October 8-October 16 2016). The voting period will be opened at the TFAC meeting on October 17, 2016 and will continue until October 20, 2016. Only TFAC members may participate in this election. Oversee Caucus list serve; add members to list. Respond to list-serve postings/questions where appropriate. Conduct conference registration and payment for members attending conferences. Record minutes at TFAC meetings and distribute to members for approval at subsequent meeting. Act as a point of contact for local equity groups to advance the work of the Caucus. When donations are approved by the Caucus, the co-Chairs are responsible for ensuring that paper work for donations is submitted, and where appropriate, letters are written and mailed. Write letters on the request of the Caucus. Attend meetings of the Executive Committee and General Membership. Provide periodic updates (once per month or less) about the work of the Caucus over the list serve. At the TFAC AGM to be held in February/March each year, propose a budget to the Caucus for discussion and debate. Oversee and help with the formulation and carrying out of Caucus projects. Ensure that TFAC brochures are available in the union office (this may involve updating brochures over time).